Norman Lockyer Observatory and James Lockyer Planetarium, by Paul Lang. Image licensed under Creative Commons Attribution-ShareAlike 2.0 UK: England & Wales license. 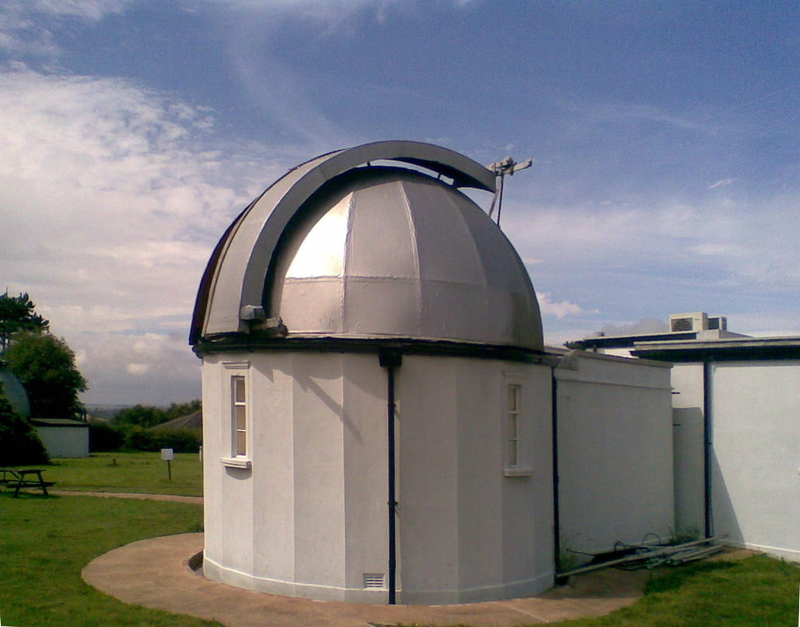 The Norman Lockyer Observatory is situated on Salcombe Hill to the east of Sidmouth off the road from Sidmouth to Salcombe Regis. 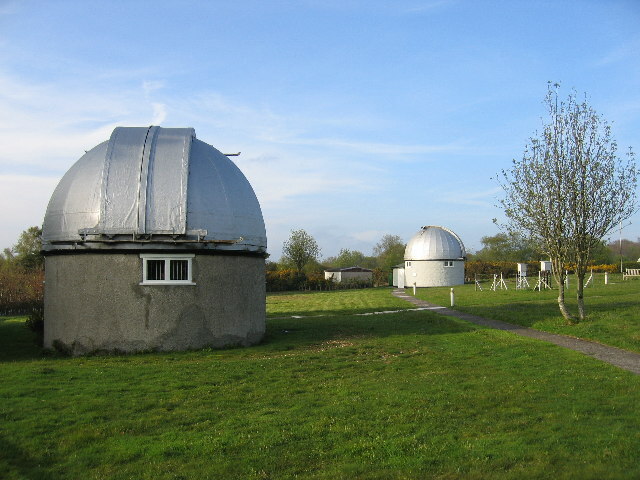 It is owned by the East Devon District Council but is operated on a voluntary basis by and for the members of the Norman Lockyer Observatory Society. 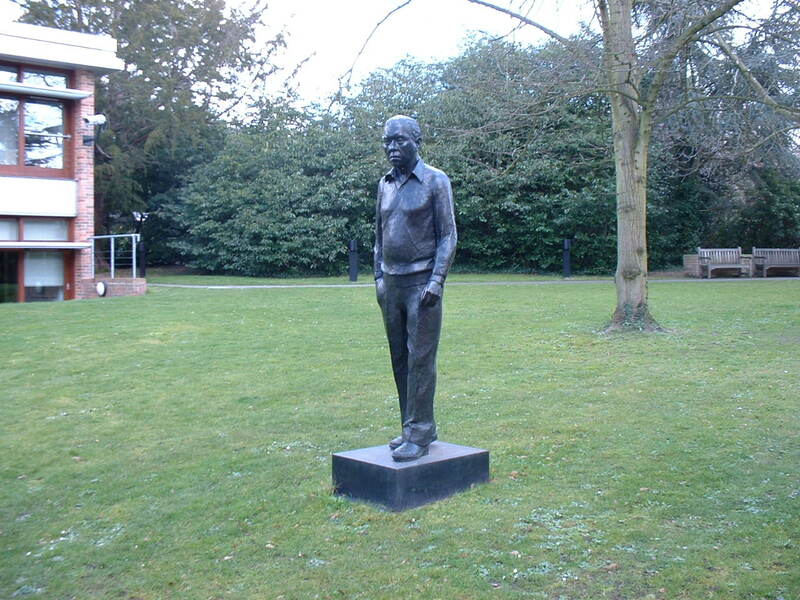 Its principal facilities include three Victorian refracting telescopes and two modern reflectors, a planetarium, equipment for amateur radio reception and transmission, a meteorological station, an exhibition area, a library and a lecture theatre. The Observatory is not constantly manned but is open to the public at listed times (mainly on Saturday evenings and Wednesday afternoons) and for prearranged visits by schools and other groups. There are guided tours of the telescopes, with observing when the conditions are suitable, and presentations of the planetarium. There are occasional special events and an annual Astronomy Fair, with trade stands and lectures by eminent astronomers as well as tours and planetarium presentations, in early August. There are charges for these visits and events. 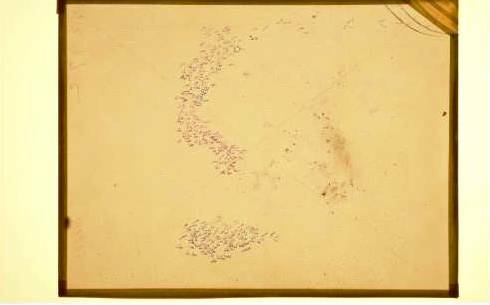 Norman Lockyer was a Victorian amateur astronomer who became the director of the Solar Physics Observatory at South Kensington and the first professor of astronomical physics in the Normal School of Science (now the Royal College of Science) in 1887. He was knighted in 1897. His second marriage in 1903 was to a widow who had inherited land in Sidmouth where they built a retirement home in 1910. 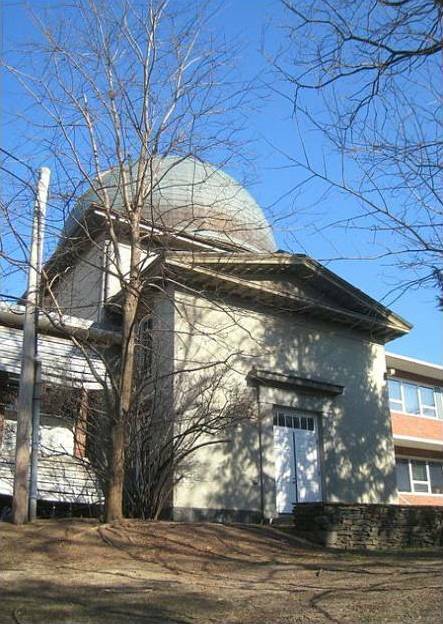 On the suggestion of Francis McClean, the son of the wealthy amateur astronomer Frank McClean, Lockyer obtained support in 1912 for the building of the Hill Observatory on the hill above the Lockyer house. 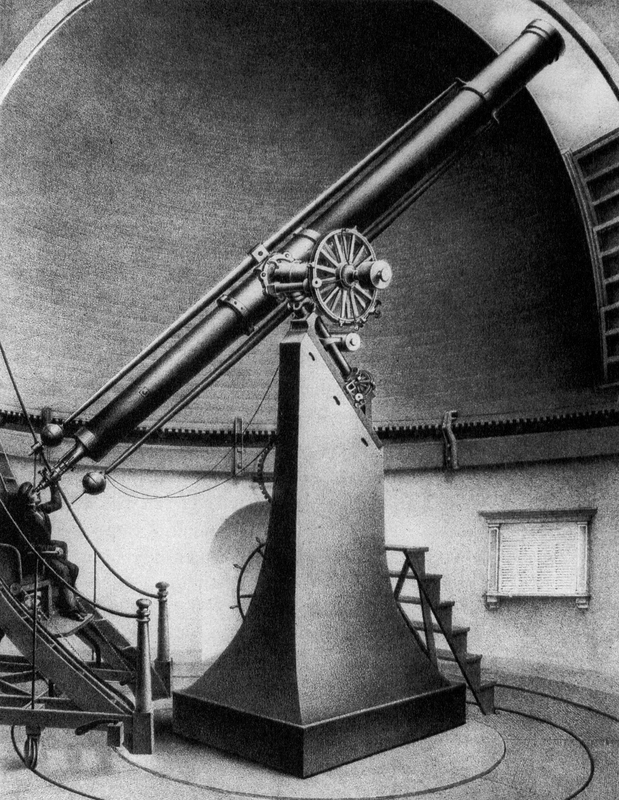 McClean donated a telescope from his father’s observatory at Tunbridge Wells and Lockyer obtained a telescope that was no longer required by the Solar Physics Observatory, which was to be moved to Cambridge. They and others also donated money and other equipment. 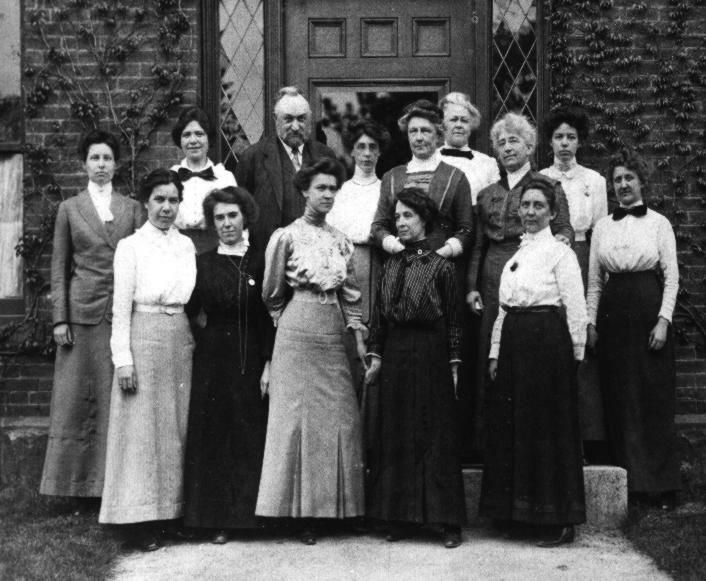 The Hill Observatory Corporation was established in 1916. The activities largely ceased during the 1914-1918 war, but were resumed in 1919 when Lockyer’s son James was released from his duties in the Royal Air Force and Donald Edwards was appointed as an assistant. 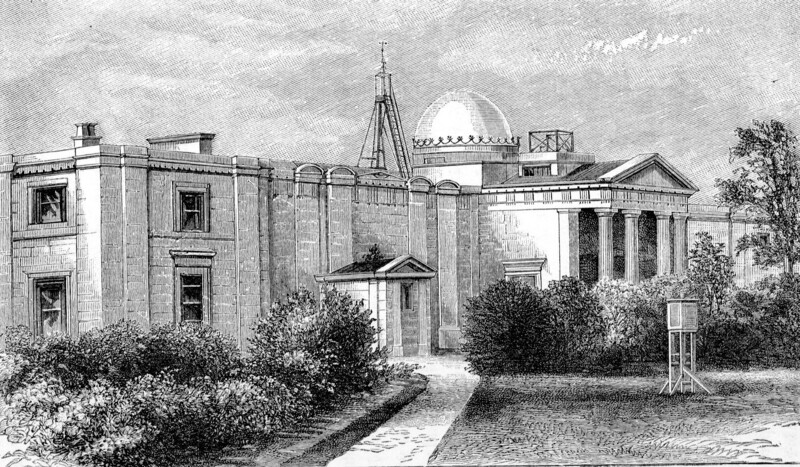 Sir Norman Lockyer died in 1920, the Observatory was renamed in his honour and James became the Director. 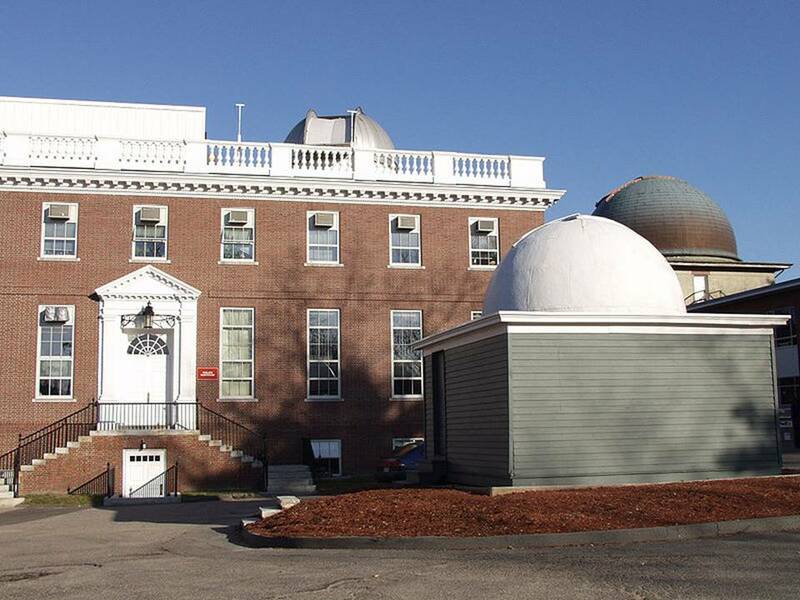 The McClean Telescope has 10-inch visual and 12-inch photographic refractors and while the Kensington Telescope has 10-inch and 9-inch refractors; both were used largely for stellar spectroscopic observations. The Mond Dome and Telescope were funded by Sir Robert Mond, who was then the chairman of the Corporation, and were inaugurated in 1932. The telescope actually consisted of four separate cameras of different focal lengths that were used mainly for survey purposes. James Lockyer died suddenly in 1936 and was succeeded by Edwards, who was then assisted by Donald Barber. Observations were interrupted by the 1939-1945 war. Lady Lockyer died in 1943 and bequeathed her house and land to the Corporation. 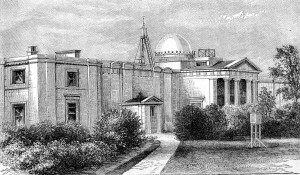 Nevertheless the funds of the Corporation were very low, but the University College of the South West of England (now the University of Exeter) agreed to support the astronomical activities. Edwards died in 1956 and was succeeded by Barber who retired in 1961. 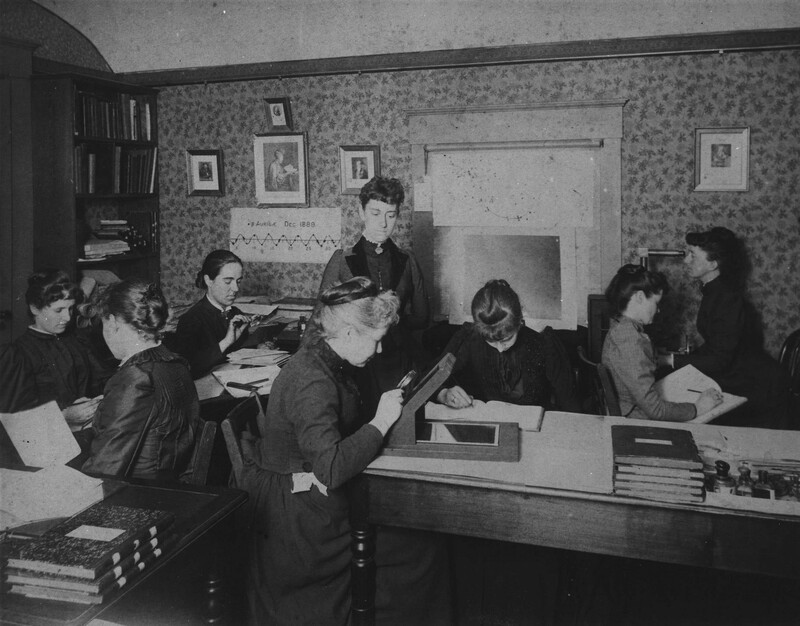 Astronomical observations then ceased and the site was used by the Department of Physics at the University for geophysical observations until about 1980. 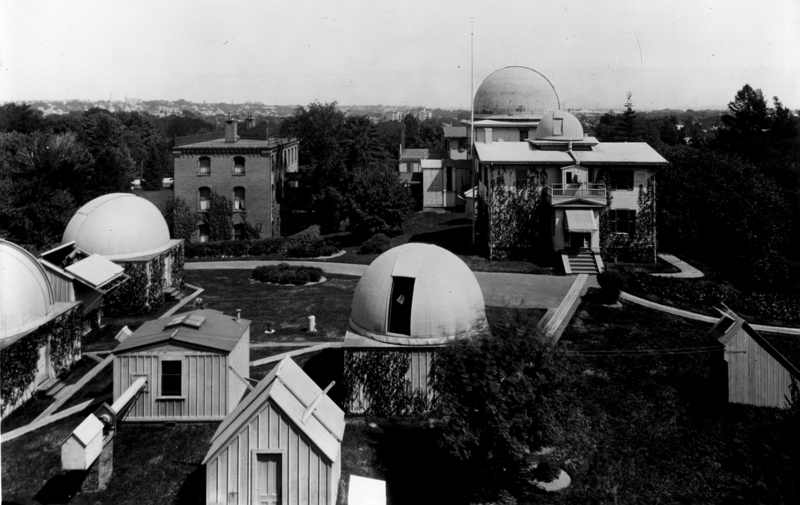 The University, which controlled but did not own the Corporation, wished to sell the site for development, but this was thwarted when the domes were listed as of historic interest. The site was eventually bought by the East Devon District Council in 1986. It was able to sell the outbuildings for private use and some land was sold to the National Trust following a local Landscape Appeal. The Council was then able to refurbish the site and to extend the Mond Dome to provide facilities for use by the Sidmouth and District Astronomical Society and the Sidmouth Amateur Radio Society under the terms of a Trust Fund. Norman Lockyer Observatory, Sidmouth, by David Stowell. Image licensed under Creative Commons Attribution-ShareAlike 2.0 license. The Observatory was formally reopened by Patrick Moore on 28 October 1989. 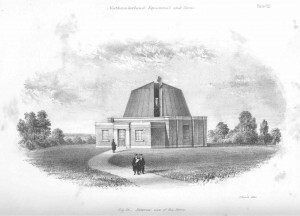 Unfortunately the Mond Telescope had been vandalised, but the Dome was used for public presentations by a GoTo planetarium that had been obtained from St Luke’s College in Exeter. Both societies flourished and the Astronomical Society had to hold its main monthly meeting at the Arts Centre in Sidmouth as the meeting room at the Observatory became too small. A grant was obtained for the purchase of a CCD-camera and computer system so that the McClean Telescope could be used show live images on a TV screen to visitors. Moreover the number of open periods for visits by the public and schools exceeded the expectations of the Council. It agreed to provide a large extension to the Mond building to include an entrance and exhibition area, a large dome for the James Lockyer Planetarium, an extra room for the Radio Society, as well as toilet facilities and a kitchen. This new facility was opened by Patrick Moore on 29 September 1995. At this time the two societies merged to form the Norman Lockyer Observatory Society as a company limited by guarantee and with the status of an educational charity. The activities expanded to include meteorology and an observing station; local statistics and images from satellites are shown during open periods. The Mond Dome was used for the telescope that Lockyer had used as an amateur; it was re-inaugurated by Heather Couper, a national TV personality, in 1996. A 12-inch computer-controlled reflector was installed in the new Victoria Dome, which was opened by Craig Rich, a local TV meteorologist, in 1999. The Donald Barber lecture theatre was added to the main building and was formally opened in 2006. It is used for Society meetings, introductory talks to visitors and occasionally by other organisations. The GoTo planetarium projector was replaced by a Spitz projector from the Royal Observatory at Greenwich. A new dome is under construction for a 20-inch reflector that was given to the Observatory a few years ago. Stockholm Globe Arena from northeast by Tage Olsin. 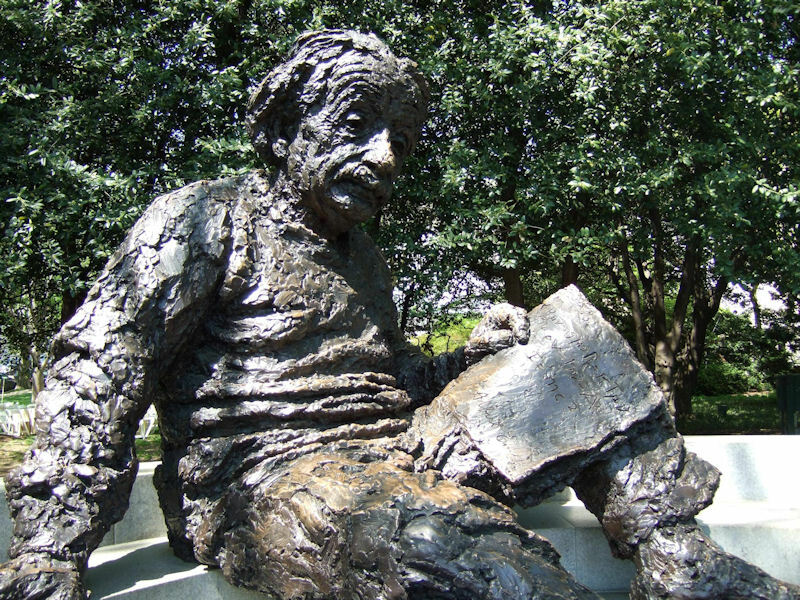 Image licensed under Creative Commons Attribution ShareAlike 2.0 license. 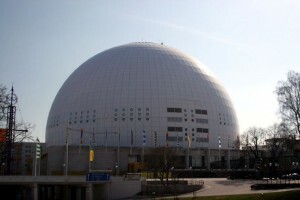 The Ericsson Globe represents the sun. The rest of the solar system is scattered in, and north of, Stockholm. Sweden: land of high taxes, origin of Volvo and the epicentre from whence Abba spread. Also, the home of the Solar System. 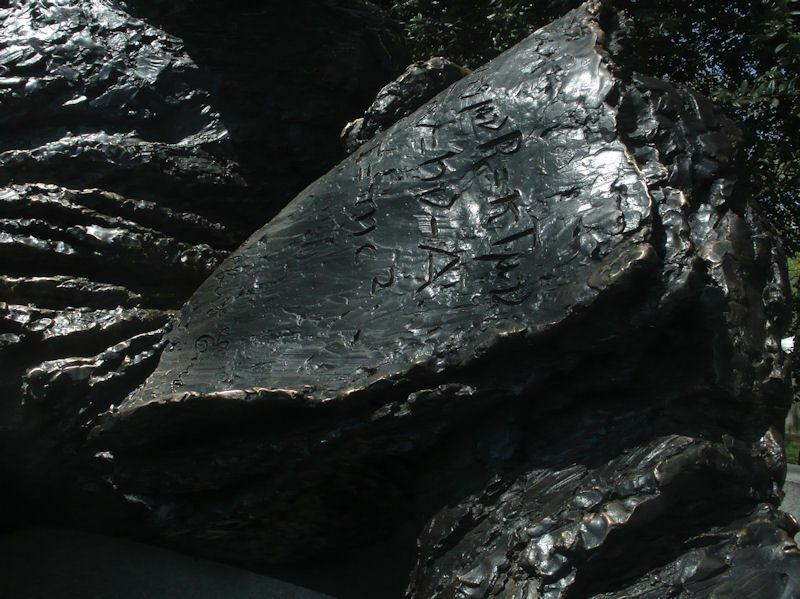 It is actually the World’s largest, permanently exhibited, scale model of the Solar System, and growing. Perhaps due to its more trivial standpoint in terms of science engagement, and not to mentioned geographical locations, it is little known outside Sweden. Plasma physicist Nils Brenning and astronomer Gösta Gahm are the founders and co-ordinator of the Sweden Solar System (SSS) project, with the aim of linking the project to each of the local “stations” that feature a planet, satellite or other celestial body. At a scale of 1:20 million, the model may sound small, but the distances between each “station” further emphasises the vastness of the real thing. The Sun is represented by the Ericsson Globe in Stockholm, a well known sports arena and concert venue, famous for its likeness to a golfball; including the “corona”, it measures 110 metres in diameter. 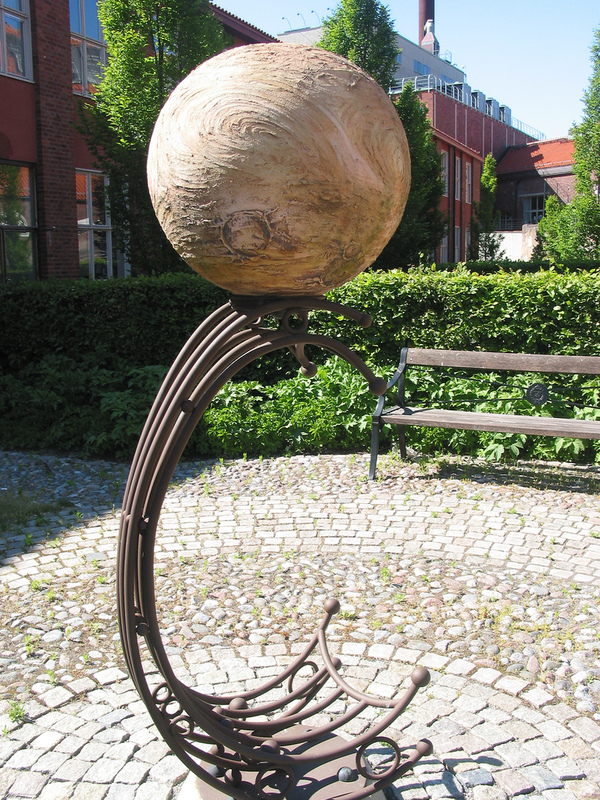 The Earth (65 cm in diameter), complete with Moon (18 cm in diameter) but no other satellites, sit in Stockholm’s Natural History museum, 7.6 km North-North-West of the Globe. True to life, the two objects are kept in different permanent exhibitions to maintain the correct scale. The museum also houses Stockholm’s other hemi-spherical roof (the first one being the Globe), or rather ceiling: that of Cosmonova, a near-360 degree-vision IMAX planetarium. Sweden Solar System: Venus, by Joongi Kim. 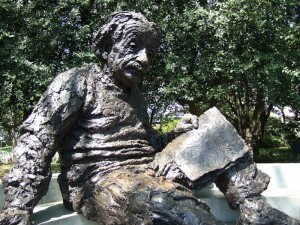 Image licensed under Creative Commons Attribution-ShareAlike 2.0 Generic license. So far, all eight official planets and dwarf-planet Pluto are in place, at distances from 2.9 km (Mercury) to 300 km (Pluto) from the Globe Northwards. Not limiting themselves to metallic spheres, Jupiter is presently a flower arrangement on a roundabout island outside Arlanda airport; Neptune is an acrylic sphere that shines with the planet’s iconic blue light at night. Comets like Halley and Swift-Tuttle have also been introduced to the system, though South-West of the Globe; foundations have been built for a representation of Termination Shock, the edge of the heliosphere, at the Institute of Space Physics in Kiruna, some 950 km North of the Globe, above the Arctic Circle. 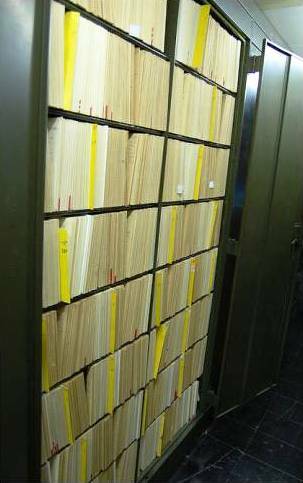 Of course, most tourists do not have the time to fling up and down the coast of the Baltic Sea looking for a lot of small, round things, so it is fortunate that most of this Solar System can be found close to Stockholm.